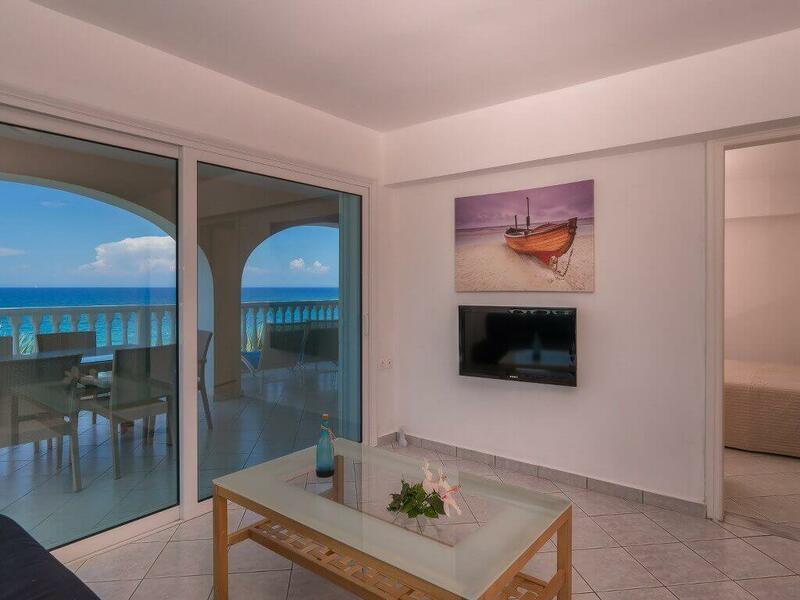 The 2 bedroom sea view apartments offer 2 bedrooms and a separate kitchen/living room that can accommodate 4-5 persons. 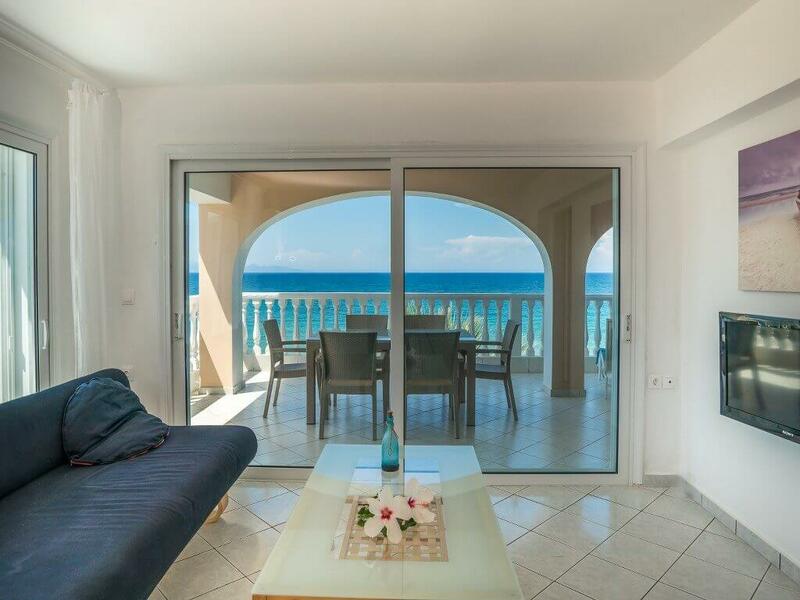 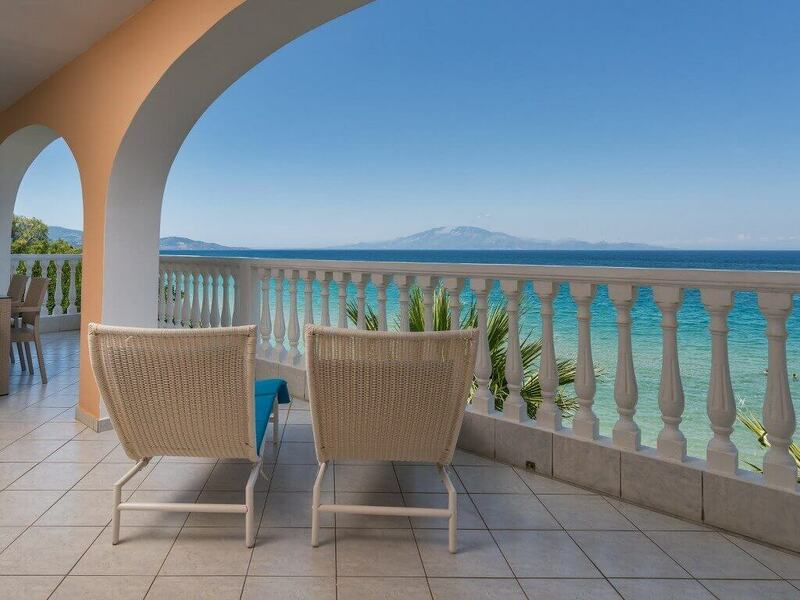 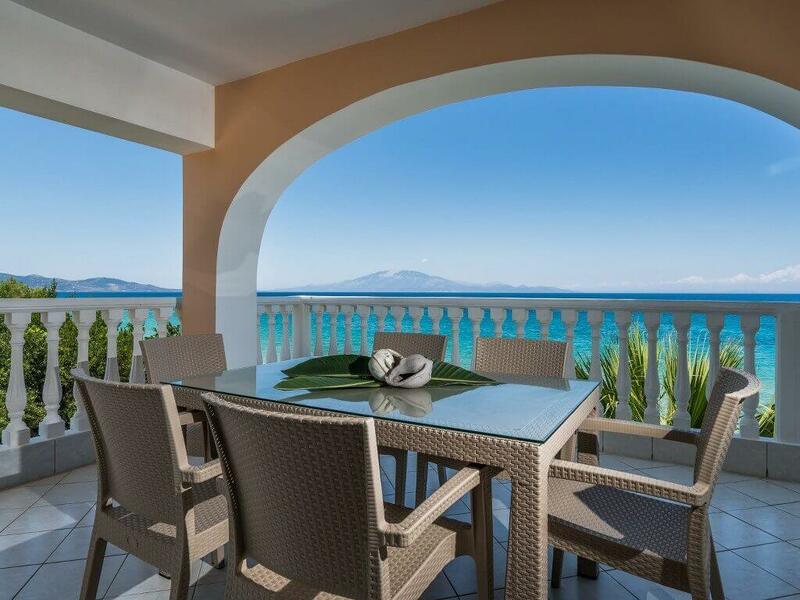 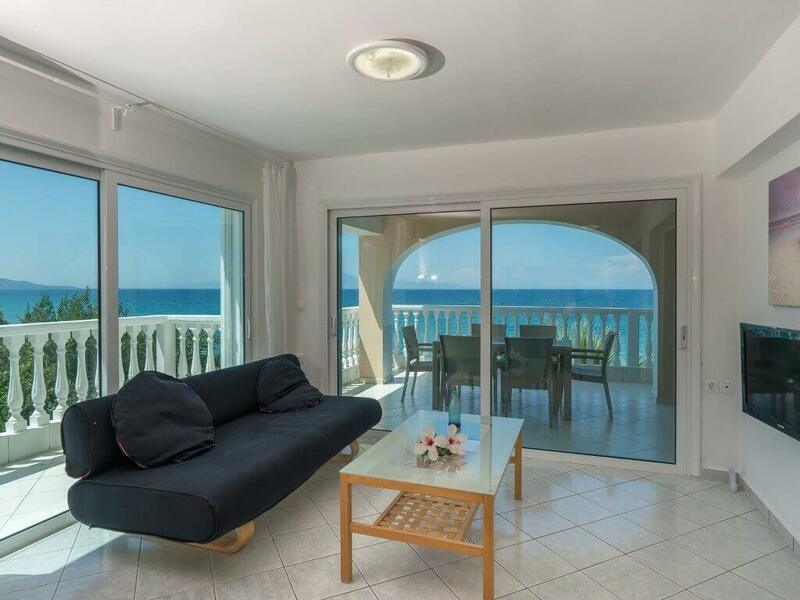 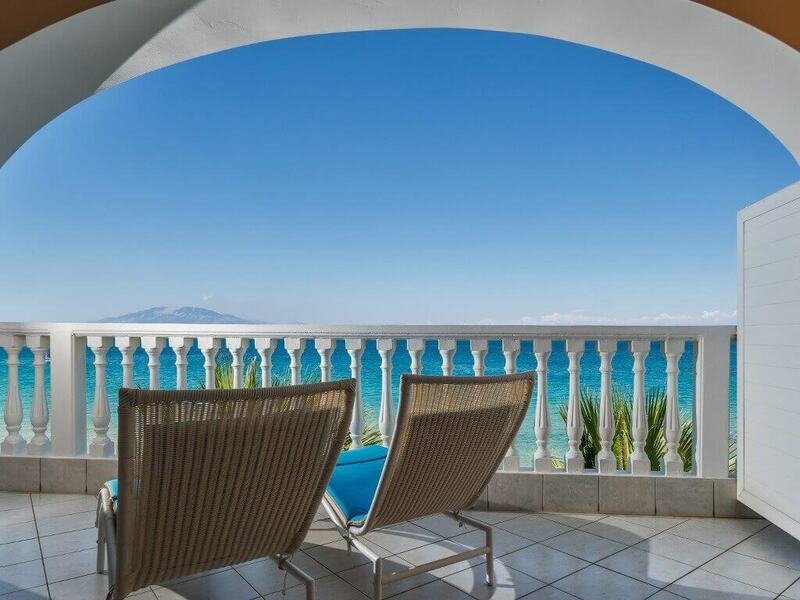 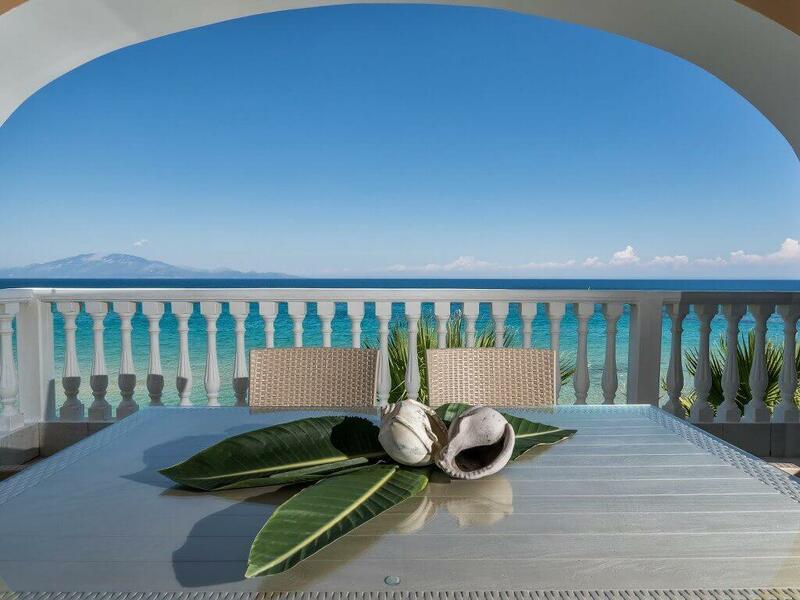 They are situated on the second floor and offer spacious furnished balconies with amazing sea view. 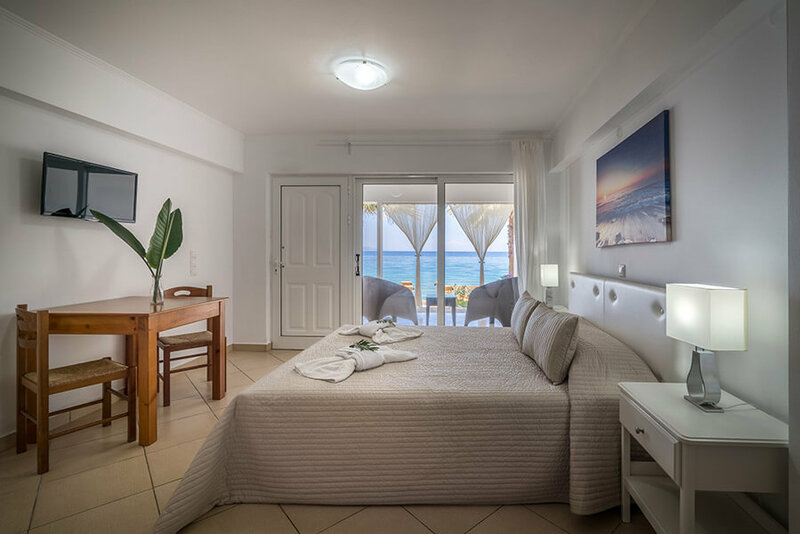 As we enter the main entrance we can find a private bathroom with bathtub on the right hand side as well as a bedroom with two single beds right opposite to it. 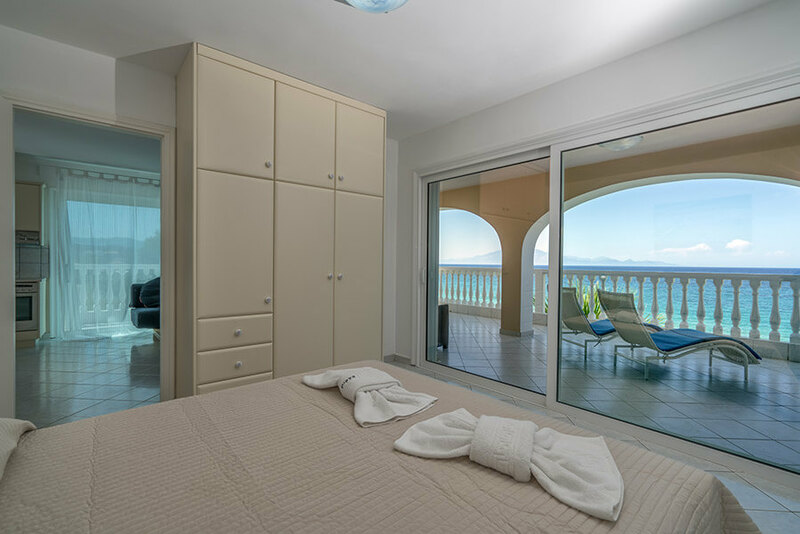 The small hallway takes us to the open plan kitchen and living room that opens to a big furnished balcony with sea views. 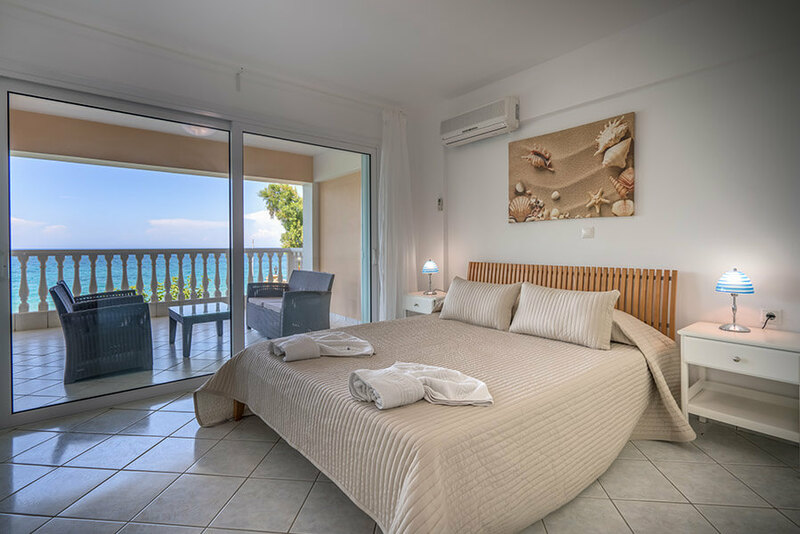 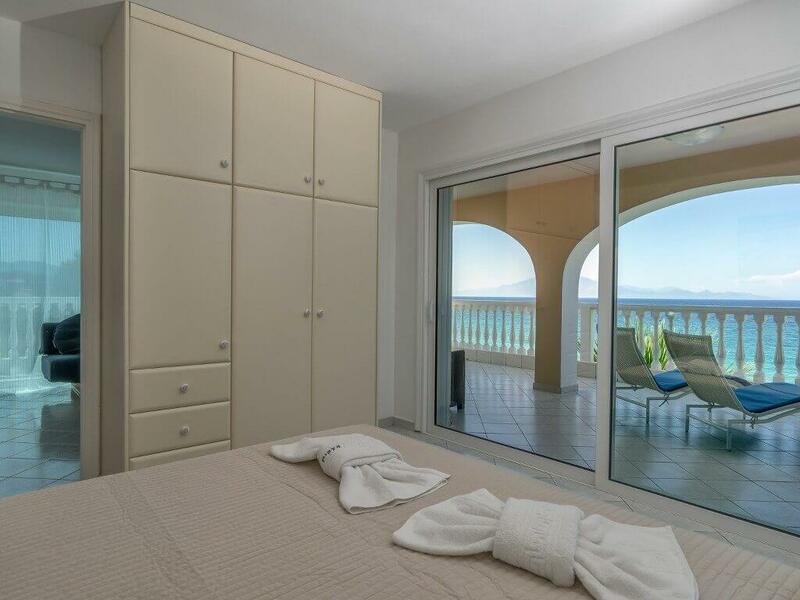 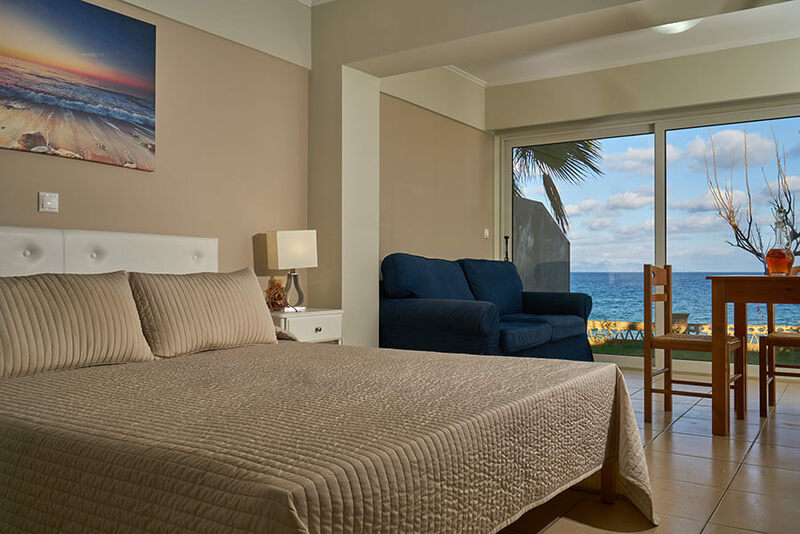 The second bedroom that also offers sea view has a comfortable double bed. 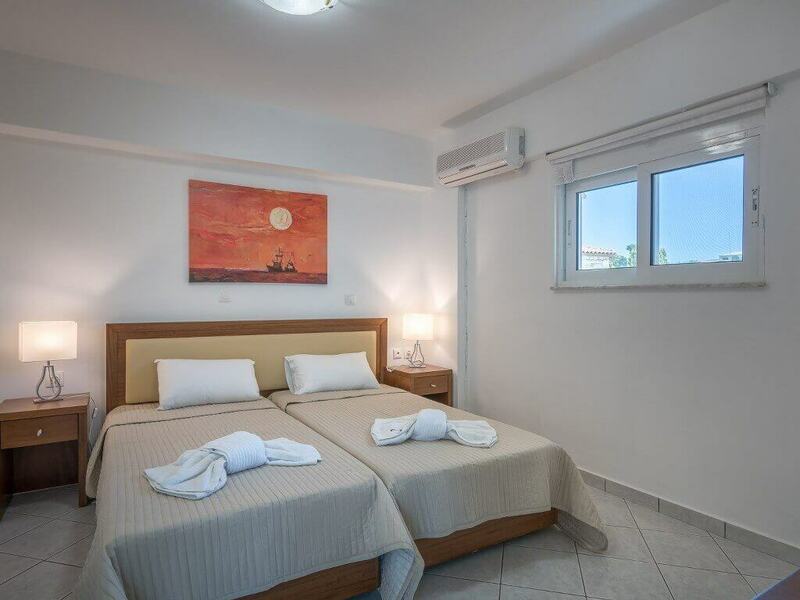 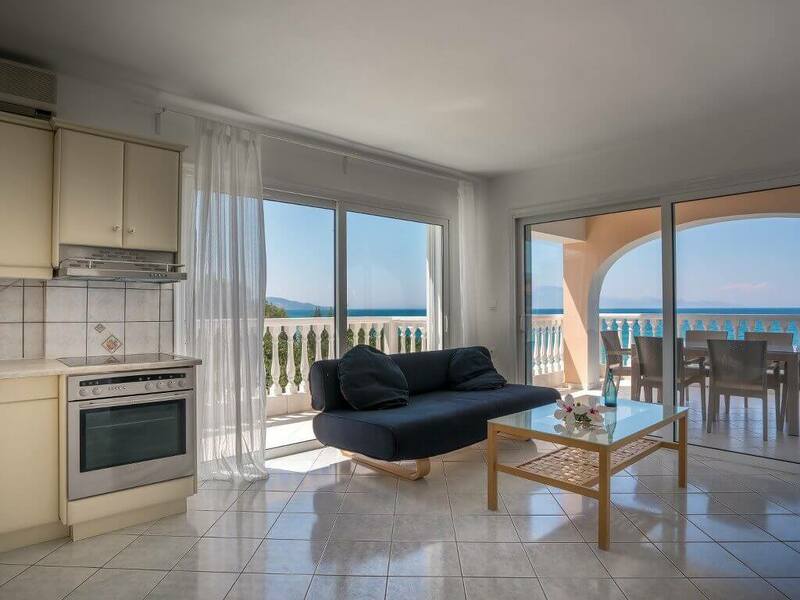 Moreover free air-conditioning, flat screen TV and a fully equipped kitchen with ceramic hobs and oven are offered.